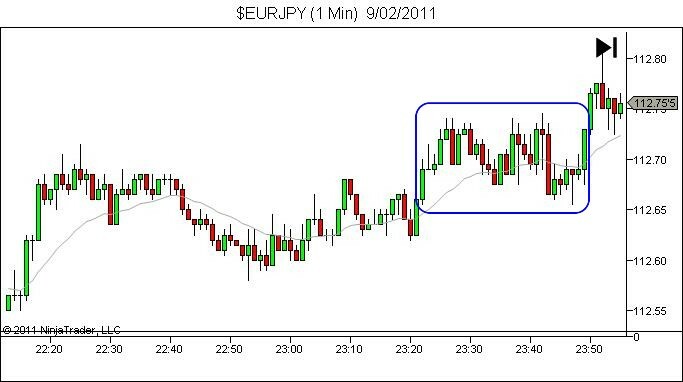 I attached EUR/JPY 1 min chart. I assumed that the trend is still bullish. Within the blue area, where would you enter and where do you set your stop? 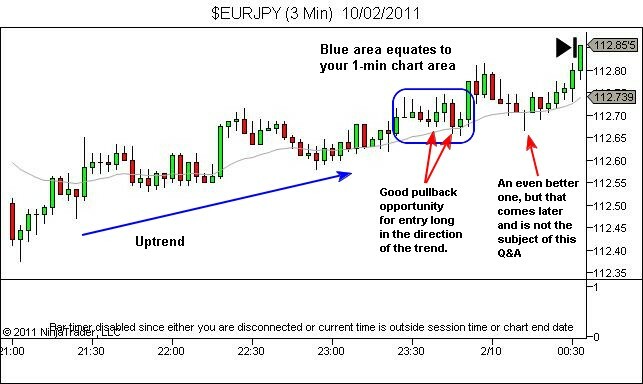 The 3-min chart does confirm an uptrend. See the image below for explanation. 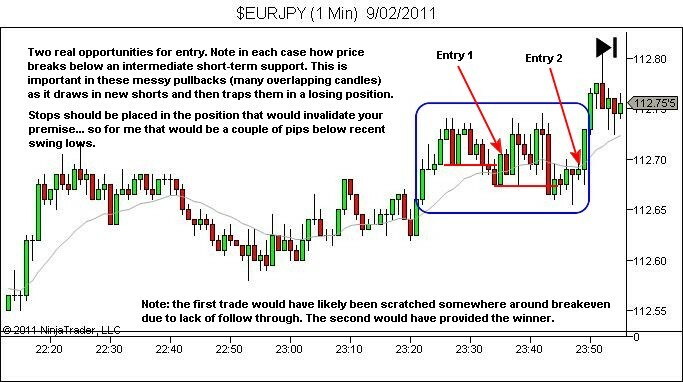 You may also consider not just entering via a stop-entry order, but in setting a limit order to work a lower price entry once achievement of the stop entry price. That is, when you would normally enter, place a limit order a few pips lower, with a high expectation of being filled due to the candle overlap. Of course, this risks missing the trade if it does take off. Or simply scale in (it’s not my preferred method but it can work well here).